In the left menu you will see the Photo tab. 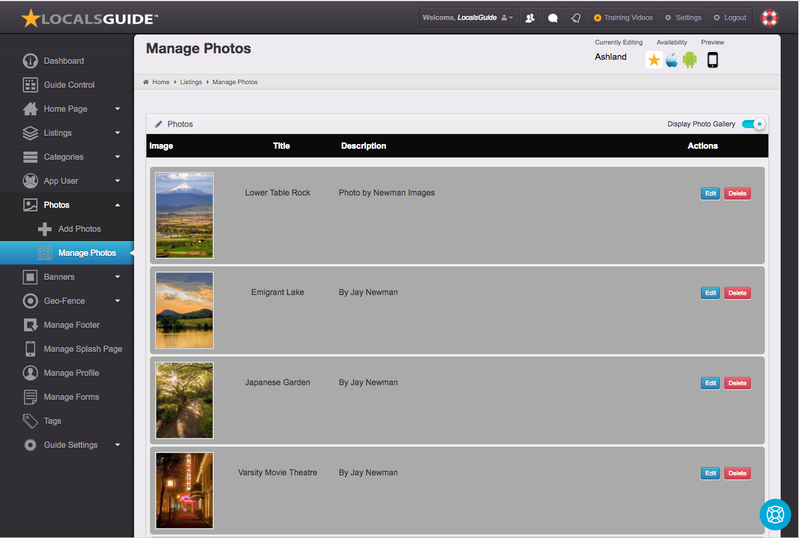 This is where your photo gallery is manage. Upload your photos here to then be shared and organized into your photo gallery. In order to have the photos display in your mobile and or HTML guide you will need to create a category. Assign this category to the category type photo. Then turn on this category so it will be visible in the Hope Page settings for both Mobile and HTML. Add a title for your photo. This is currently only for internal organization. Add a description.This is currently only for internal organization. In your account settings place your business name. 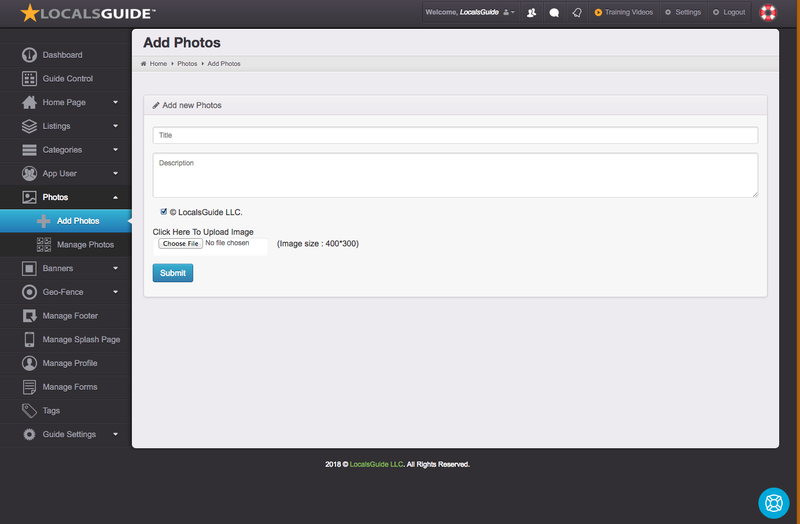 When adding photos by default your business will be assigned all copyrights. This is for internal purposes. Enable: Display Photo Gallery Switch to make photos actively display.